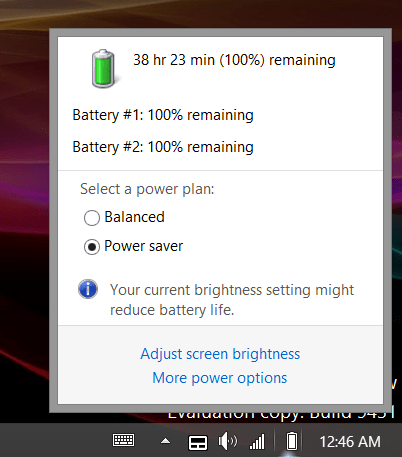 Okay, to be fair that was with the extra battery attached to the bottom of it which doubles the battery life as well as the screen turned down all the way and the laptop sitting idle for about 15 minutes. I also suspect its estimate may be a bit off but I fully expect to get over 10 hours of battery life with more normal usage. Still, as I’m writing this with the brightness up all the way, the battery is still at 100%. UPDATE: Okay, this is getting silly. 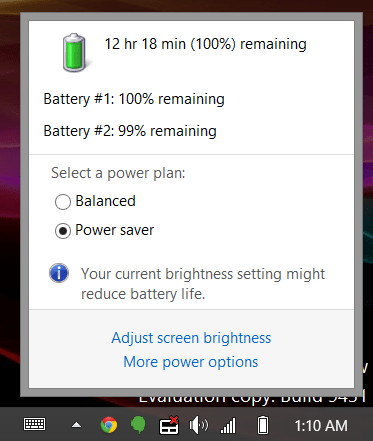 Maybe Windows 8.1 preview just can’t accurately read my battery levels?